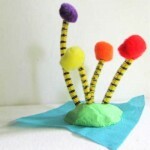 Some of my very favorite crafts to do with my kids are animal crafts! 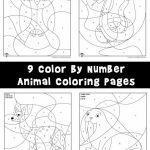 They’re so much fun and a great way to teach them more about animals. 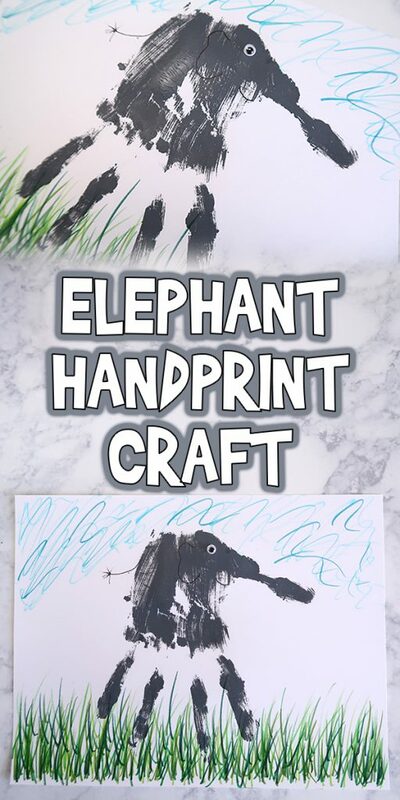 Today I’m showing you how to do this cute Elephant Handprint Craft with your kids! Here’s what you’ll need. Gray paint. 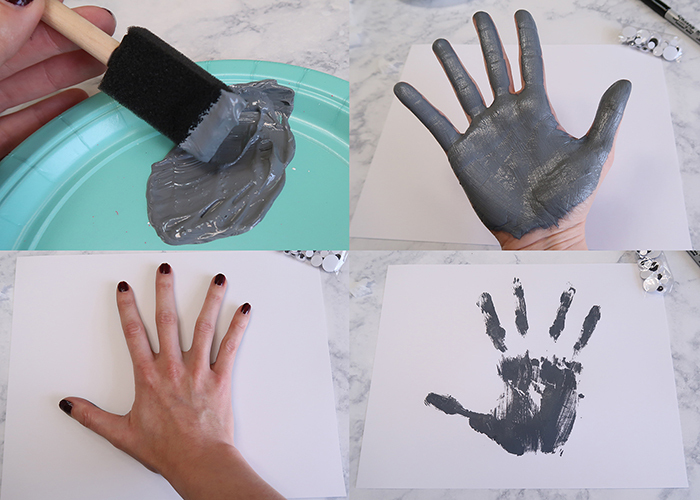 I only had black and white acrylic paint on hand, but I recommend a gray washable kids paint. Optional: a variety of markers for decorating the background. 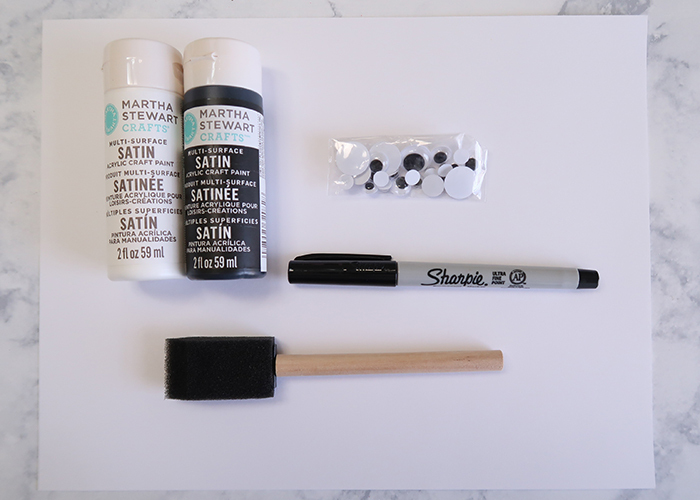 Start by mixing up your black and white paint to create gray, if you don’t have gray paint available. 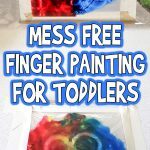 Then use your foam brush to spread the paint on your child’s (or your) hand. Press the hand down firmly on the paper right in the middle, and lift up. Make sure to wash your hands right away! 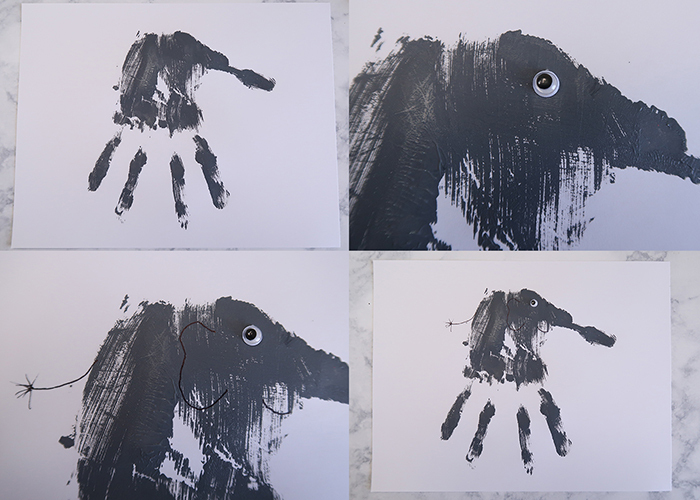 Also, you can easily make a mommy and baby elephant by doing your handprint, and then your childs handprint next to yours! Take your paper and flip it over. See the elephant now? Use your glue to attach a small google eye where the elephants eye should go. Then take your permanent marker and draw in a smile, an ear, and a tail! Your main elephant is done. 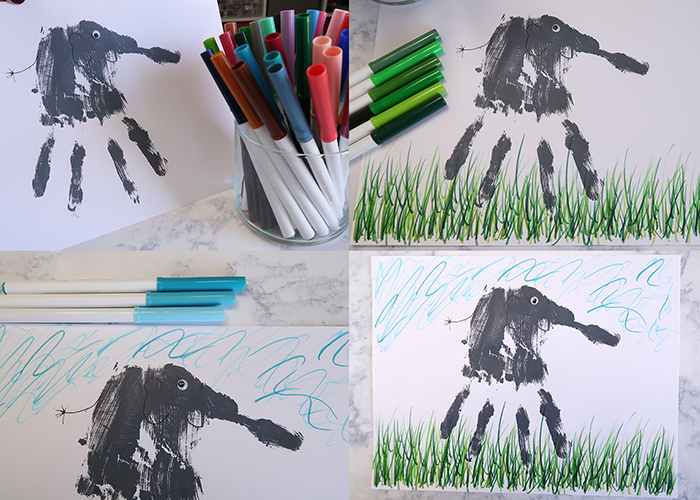 You can either leave your elephant as is, or you can use some markers to create a background for your elephant! We made some green grass and blue sky, but you can put your elephant on any type of background you’d like. How silly would an elephant in space be? 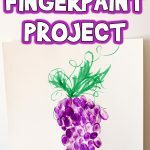 I hope you enjoy making this Elephant Handprint Craft with your kids! 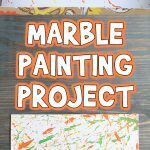 And don’t forget that your can also make your elephants any color you would like! I think an orange elephant would be extra fun!